Let's start with my biggest money-saving expenditure of the last week. Rotary blades. I know, totally exciting, right? But I was running low on my 60 mm rotary blades. Do you keep a blade in your cutter even though it is dull, and every single rotation it skips cutting just.one.little.thread?? Yeah, me too. And then you finally put in a new blade and you wonder what took you so long! But rotary blades are expensive. One word. Ebay. I got eight five-packs for $53.99, including shipping! I've done this before so I'm not worried that they are repackaged "seconds" that won't cut a single thing. Rulers. I have had "issues" with rulers. My all-time favorite by Judy Martin hasn't been manufactured for years. The lines on my ruler are nearly gone. 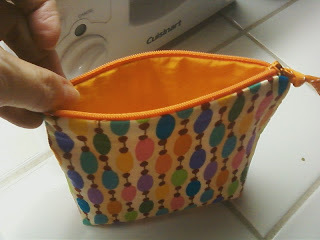 So when I saw that Christina (The Sometimes Crafter) had some templates custom made for her new pattern, I went directly to Jill's etsy shop, TabSlot, and convoed her with this question: So...just out of curiosity...do you do other custom designs? Yes? Really? So could you possibly do a 7x16 ruler for me? I mean, something that I can actually afford? Yes? Seriously??? My rulers just arrived today. (I kinda felt like I should buy more than one because the price was unbelievably affordable!) It was super easy. I told her what I wanted, she sent me a picture of a prototype, and a week later the rulers arrived on my doorstep. Along with the custom templates for Christina's pattern, Retro Flowers, which is also very ...awesome! Do you sometimes feel like you keep hearing the same thing over and over? Does it want to make you "tune out"? My friend, Deborah, gifted me with this awesome DS fabric. Don't you love the colors? When I was done with the fabric from this 36-patch block, I gave her the leftovers. Look what she made out of it! Mark planned a date night for us on Monday. We went to a concert in a town about an hour from here--Amy Grant and Michael W. Smith. They have been singing, separately and together, since the 1980s (which pretty much makes me feel a bit old...), in the meantime collecting Grammy awards, Dove awards, Hall of Fame inductions, etc. It was an amazing concert and such a fun night with my hubby/best friend. All of you who have commented for the Go!Baby giveaway are cracking me up with your comments about something most people don't know about you. Haven't commented yet? Want to read something funny? Want a chance to win? Go here. "Pete the Cat" is my most favorite children's book. It was highly recommended by my most favorite local children's book store, Petunia's Place. My grandchildren love this book, too. I can't even begin to tell you how much I love hearing my grandson "read" it. 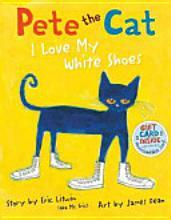 Basically, Pete the Cat is the story of a cat who loves his white tennis shoes. He ends up walking through a pile of strawberries, and his shoes turn red. But did Pete cry? Goodness no! He just keeps walking along and singing his song, "I love my red shoes, I love my red shoes, I love my red shoes." And then he walks through a pile of blueberries and his shoes turn blue. But did Pete cry? Goodness no! Then he walks through the mud and his shoes turn brown, and then he walks through the water and it washes all the colors off and his shoes are wet! But does Pete cry? Okay, so I have a HUGE stash of rotary cutters and am constantly changing the blade. I seriously don't want to end up with some type of "Rotator" Cuff injury... ;) Oh... that video made my morning! Big smiles! Very interesting, I never thought of buying rotary cutters on Etsy/Ebay! I just picked some up bogo at Joann's, but they are still expensive, AND they stopped carrying the 5 pack. sigh. 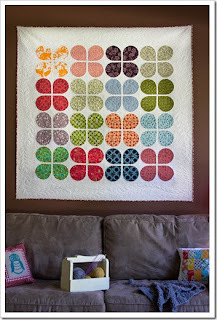 I LOVE that retro flower quilt, it's on my want to do list. It's all good. How cute!!! Made my morning. It's all GOOD!!! I have to get a video of my son reading!! Any Grant and Michael W.Smith what a terrific combo package! I have bought the majority of my rotary blades on Ebay and have never been disappointed. I just recently change my much too long used blade and said the exact thing to myself...why did I wait so long? You made my morning with that very cute video of Levi reading the book! Love, love, love it! Thanks for the tips on the rotary blades!! LOVE the video!! He is precious!! I'll be findng the book for my grandson who is two!! He loves to read! wow! Great post! Love to see children reading! I tend to change my blade when it starts skipping just 1 thread, but I don't toss it I keep it to cut paper with. I just wright on it with a sharpie on both sides so I don't try to cut fabric with it. I'm going to get that retro pattern - it looks great for cushions too. And yes my blade needs replacing!! thanks so much for posting about your ruler and rotary cutter blades! i love finding new ways to save money! i had to laugh when you described how long you go before switching the blade - i do the same exact thing! and i certainly wonder why on earth i took so long to replace it every time! soooo cute! "It's all good!" I'll have to get that book; it sounds fun! 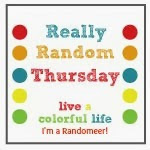 I love all your "randomness"! Congrats on getting that special ruler!! But Levi certainly does top it all! What a day brightener!! A-dorable! I can't wait to read that book with my grandson. He has to be born first, but it won't be long. Thank you for all the great tips! awesome tip on the rotary blades! I'm due to change my rotary cutter blade too. And I always do the exact same thing - "oooh this cuts like buttah! why did i wait so long?" Every. Single. Time. So cute - thanks for the tip about the book. I love to buy books for my granddaughter. And, thanks for the rotary blade info. Why didn't I think of Ebay for that? I look at the quilts nearly every day on there; duh. Oh, how cute was that?!! Thank you for sharing!! I'll be looking for that book to give to my niece at Christmas!! I'd never thought of buying blades on ebay - I've just bought a generic one at a local hardware store but if that doesn't fit I'll be trying ebay! Ok. Random thoughts....No baby yet? Maybe he/she will be an Oct. baby.....I'm going to look for that book...but who is the author....cute little reader boy.....do I need that ruler?....how much was it, anyway?...I really should change my rotary blade...do I have any new ones?...I wonder if Cindy still uses the Essentials Thread now that she is an Aurifil girl?....maybe I should look up that Crafty blog...I wonder if Cindy has her FW blocks finished?...when will i EVER get to meet her up close and personal? Oh! Your grandson is positively edible! I just love his "it's all goooood" at the end of his story (I was just waiting for Pete to step in a big pile of doodoo, I'm glad it was just mud). Great score on the blades, btw. I've never heard of such a great deal! Yeah--I have a dull one right now I'm trying to "use up." Sometimes I set them aside to change out the blade then get confused and rotate it back into the good ones. This whole post was fun to read--cute blocks and cute little bag and really really cute little grandson reading a book. I have several little videos of the grandkids on my phone and love to watch them. My little treasures! that is a good reminder for me to stock up on rotary blades too. Better wait till I have a coupon. 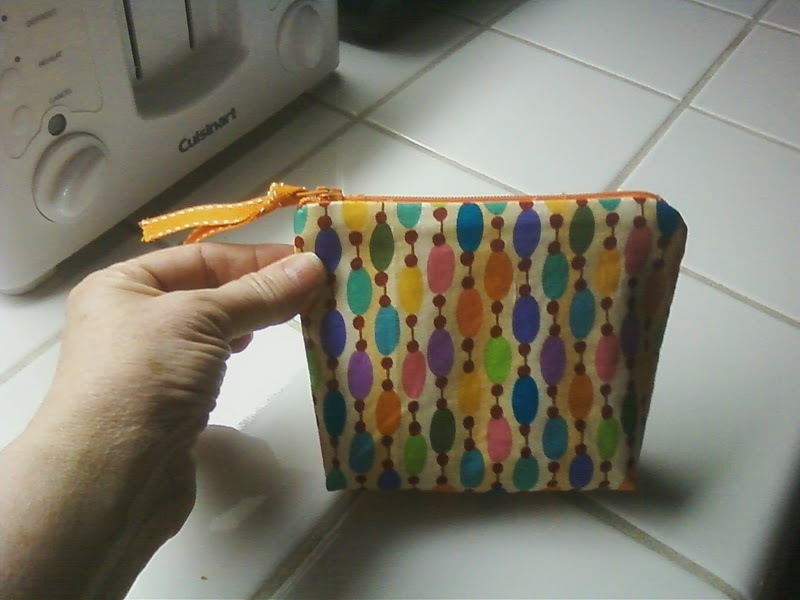 Love that little pouch your friend made for you. What a treat to get the mail! The thread arrived today - thanks again! You are wonderful. So good to know about buying blades online. I just bought a new one at a local quilt shop for $10! For one blade! Yikes! I need to learn to eshop! 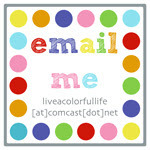 Thanks for your blog! Hahahhahaaaa this made me laugh so hard. I love the fabric as your emphasis and Score on the Rotary Blades!!! You are so welcome! I'm glad you it makes you smile. I love the retro flowers quilt! Holy cow, I need that Ebay link!!! That sounds like an awesome deal :) I love buying sewing stuff in bulk! Love the Pete the Cat book, too, we just got that one at the library, it's so adorable!!! Levi is so darned cute!